I happened to be in Greenville today and that gave me the opportunity to see “Blue Like Jazz,” the film adaption of Donald Miller’s book of the same name. I loved the book. It’s an amazing look at the complicated and messy nature of being a follower of Christ in a world where most people aren’t. The book contains the elements of Donald Miller’s story but it is more of a collection of essays and thoughts instead of a scripted movie. The companion reading for “Blue Like Jazz” (The movie) is “A Million Miles in a Thousand Years” — a book that deals with the writing of the movie. 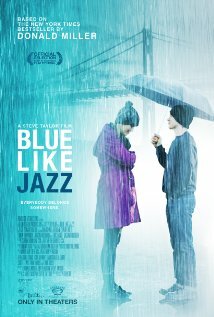 “Blue Like Jazz” (the movie!) has the feel of a coming-of-age movie around the 19th-20th year of the character’s life. In that segment, Donald Miller moves from Texas to Reed College in Portland. It’s a change of cultures and a change of views as he moves from a church culture to a college culture. His life is complicated and filled with crisis and he is searching for his identity. And in the end, the message of “Blue Like Jazz” really hit me. The final scene is compelling and thought-provoking and one of the most powerful statements of the complicated nature of following Jesus as I’ve ever watched. What I appreciated the most about the movie is that it is not sweet and sugary and easily resolved in an hour-and-a-half. It is not condemning and judgmental. Instead, it is inviting. I walked out of the movie feeling that the tension of following Jesus in a world that doesn’t remains intact at the end of the movie. And I think that many people will find a connection with that in their own journey. Donald Miller and director Steve Taylor have created a film with a great message about faith and love. 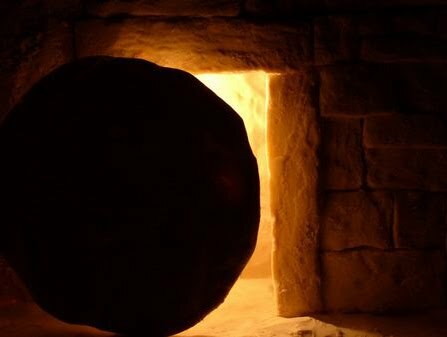 Easter Sermon 2012: He’s NOT here! Text: Mark 16:1-8. This is where most translations indicate that the Gospel of Mark originally ends. It’s a strange place to end the gospel and leaves so much hanging! Notes: This passage ends abruptly, but it contains a number of images that spoke to me. First, there’s the question of why the women wait until Sunday morning — They had to buy spices Saturday night! (Everything is rushed in this story.). There’s the words that they look up to see that the stone is rolled away. So many things in Mark seem to happen when we “look up!” I love the message from the “angel” to tell the disciples — and especially Peter. Sermon: This is the fourth Easter sermon of my pastoral career and I think it has to be one of my favorites. I love the passage and the images and I love the opportunity to celebrate Resurrection. It’s a book that does not end! 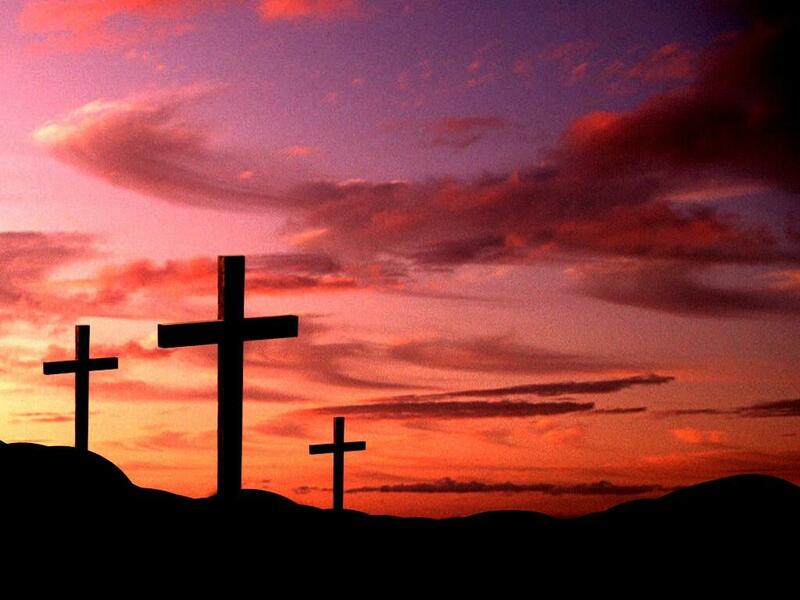 Click Here for Easter Sermon 2012: He’s NOT Here! It’s a day just like any other day in Jerusalem. The marketplace reopens and people begin to prepare for the journey home after the Passover. The Roman soldiers that have been in town prepare for the march back home with Pontius Pilate. The group that arrested Jesus and had him executed on the cross thinks that everything is about to get back to normal. The authorities think the rebellion has ended. People saw him die. 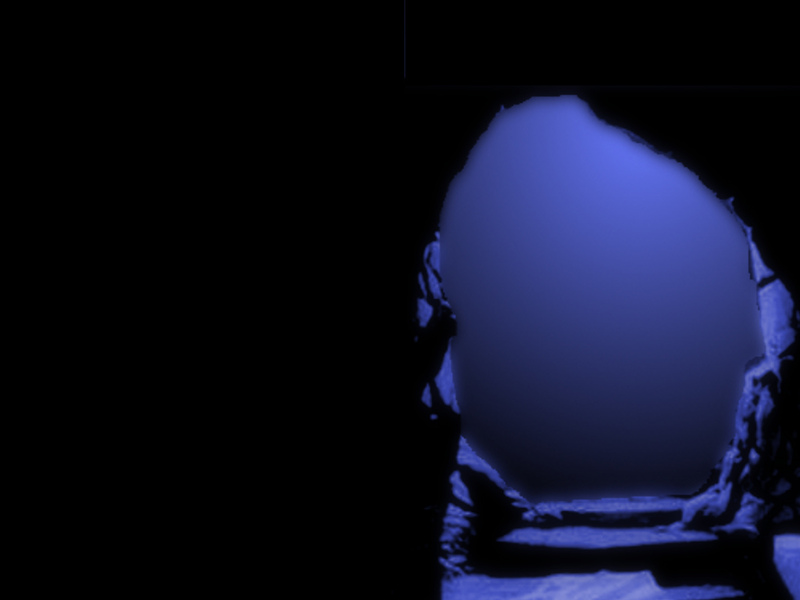 The closest followers of Jesus have started to get the accounts that Jesus’ tomb is empty. Some have their doubts. Many still haven’t seen him and still think he’s gone. No matter how that Monday started out, things were changing. The curtain in the temple was torn. Jesus got back up from the cross. Nothing will ever be the same again. They just don’t know yet what it all means. Centuries later, people were gathered in his name. Churches and sanctuaries were packed. People were dressed up in beautiful clothes and wore beautiful smiles. The familiar account of the resurrection was told and retold. We celebrated and we sang happy songs and for a moment celebrated today. On a Monday, we have to think about the way we view the resurrection. That view is what has the power to change our lives. If we view Easter as a wrapping up the story of Jesus, as tying up the loose ends, then Easter is just another great Sunday that fades into the reality of Monday. However, if we see Easter as another moment in the journey, as another step in the path, as simply a continuation of a story that’s still being written, then Monday takes on new meaning. And on a Monday such as today, we have the chance to live in the power of a resurrected Jesus and we have the opportunity to boldly proclaim the continuing theme. It’s Monday and he’s back at work. If you want to keep up with the Jesus who is back at work then don’t take Monday off. Get moving! It’s Monday and everything has changed. Why is Holy Thursday so important? In my experience, it has been one of the least-attended services in a given year. It’s a service that very few people seem to understand. It’s also called Maundy Thursday — a term that fewer and fewer people seem to recognize. It’s not a happy, clappy time or a celebration. It borders on dark, even depressing. Maybe it’s in all of these things that we find the exact reason to mark Holy Thursday. It’s our remembrance of the night in which Jesus shares the Last Supper with his disciples. Sometimes there are powerful moments that remind us of the Savior and King who bends down to wash the feet of his followers. Or, maybe it’s that in his final hours, Jesus is sharing in a meal with a small group of followers. Or, maybe there’s simply the reminder that what happens on Thursday night is dark and depressing. Sometimes you have to walk through the darkness of the cross to understand the light of resurrection. I still find that this is one of the most powerful times of worship I experience each year. There’s the reminder of the betrayal and the pain Jesus endures. There’s reflection on Holy Communion and the powerful images of grace. Tonight, Barrett Alewine, the senior pastor, and I alternated reading from John 17-19 from The Message. Hearing that narrative as one long piece is compelling and emotional. It’s hard not to have strong feelings in a passage beginning with Jesus’ prayer in the garden that those who follow him might be one as Jesus and God are one. Then there are those tough images of the arrest and Pilate declaring that Jesus is not guilty but giving in to the demands of the crowd. Then it ends with the events of the cross and the burial of Jesus in a tomb. Those last two verses from John 19 are powerful: There was a garden near the place he was crucified, and in the garden a new tomb in which no one had yet been placed. So, because it was Sabbath preparation for the Jews and the tomb was convenient, they placed Jesus in it. Maybe we get too wrapped up in the church in thinking about things that are “convenient” and forgetting about the one who is placed in the “convenient” tomb. 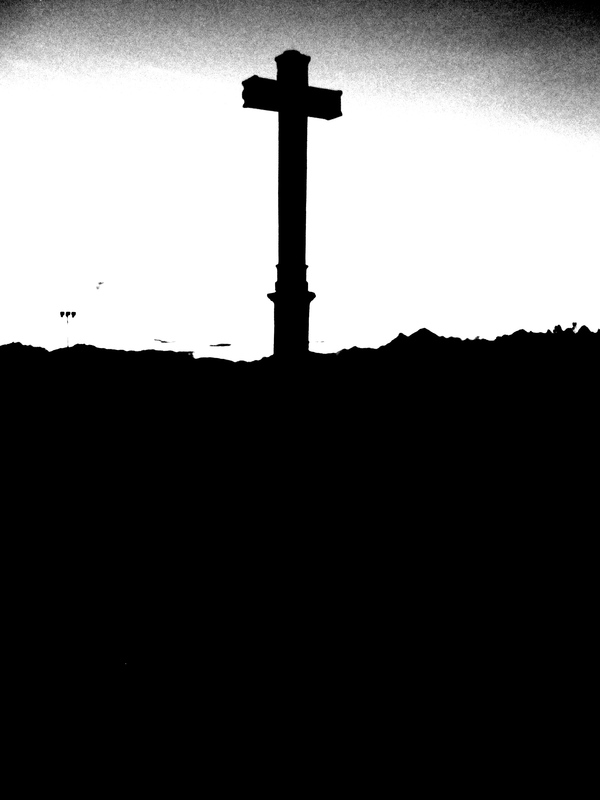 Then there are the somber moments that end the service when the altar is shrouded in black cloth. There’s the reminder that without the experience of the cross and the power of resurrection, proclamation of the Word and the sacraments of Baptism and Holy Communion would have no meaning. As we left tonight, we left in silence. Notes & thoughts: We began the service with an awesome video from the Skit Guys on Palm Sunday and in the sermon we concentrated on the Passion Sunday text. I love the Book of Mark with the way it moves at such a fast pace. This passage is no exception. When I started this week, I kept coming back to the image of sharing the narrative of Easter like I really believe it. That’s why I kept return to the first-person narrative of someone watching these events unfold. I still find myself getting emotional at the thought of looking into the face of Jesus on the cross.